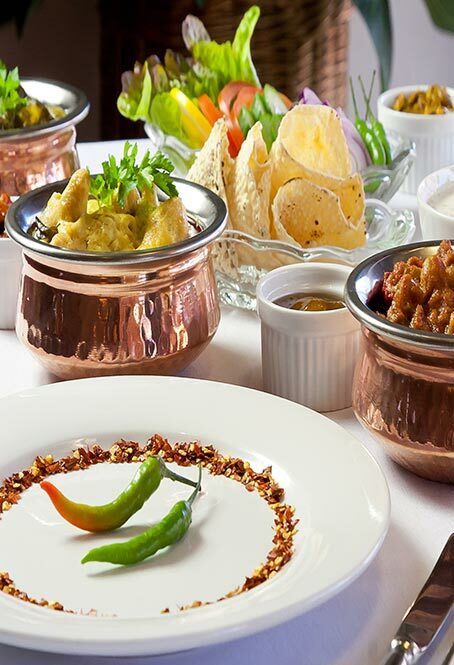 The Bagh is a heritage hotel spread over 40 acres of a 19th century garden in the Bharatpur district of Rajasthan. 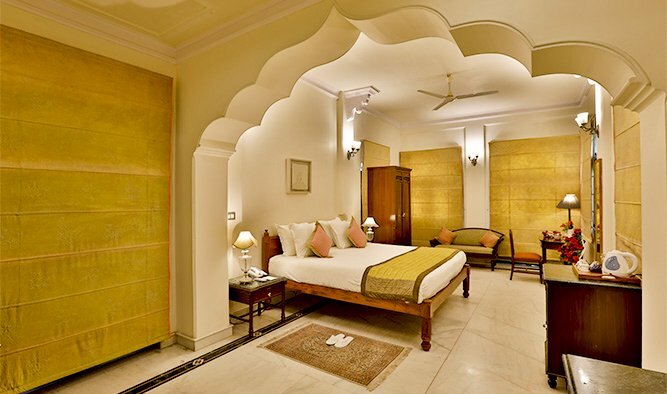 Located in the periphery of the Keoladeo National Park, The Bagh is at a few hours’ drive from Delhi, Jaipur, Agra and Gwalior. It offers visitors an opportunity to experience luxury near one of the most popular bird sanctuaries of India. With 38 boutique rooms – divided into four categories – the hotel's campus is dotted with the beauty of flora and fauna. While the bird sanctuary is 10 minutes away, you can spot over a dozen species from your room without having to even cover that distance. 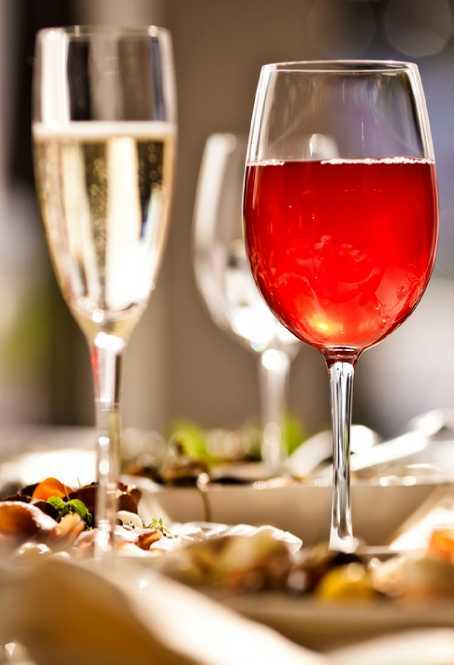 Blending in elements of modern comfort in a nature retreat, The Bagh offers a dining room; an all-day multi-cuisine restaurant; a well-stocked bar; a spa and sauna facility; and several recreational activities for guests of all ages. There is another side to the hotel that is surrounded by organic farms and luscious greens – The Farm Wing. It is also categorized under premium, superior and family superior rooms, and has lawns and open courtyards to sit and enjoy the nature around. 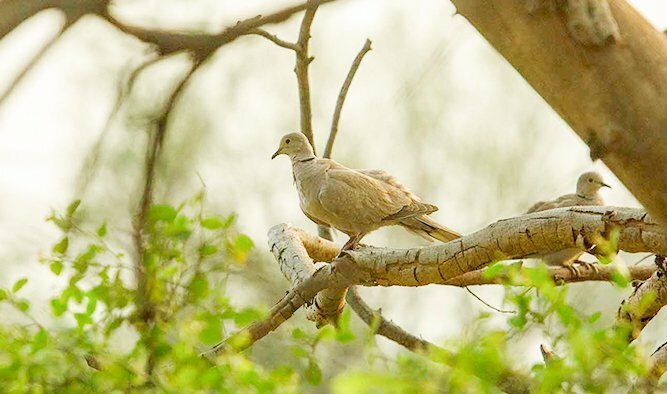 Anchor yourself in luxury at The Bagh and explore guided excursions to Keoladeo National Park, nearby world heritage sites and the culture of the region with our special offers and packages. There are 38 rooms across five residential complexes, named after the beautiful flowers found in abundance in the premises: Champa, Mogra, Gulab, Anar and Surkhab. 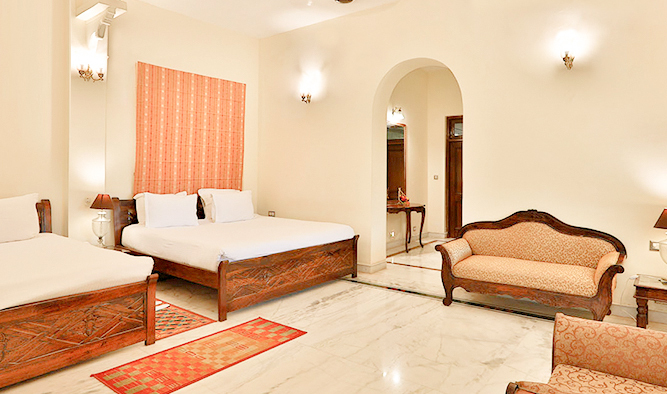 Each room is a subtle mix of antiquity and modernity, creating an atmosphere of elegance. 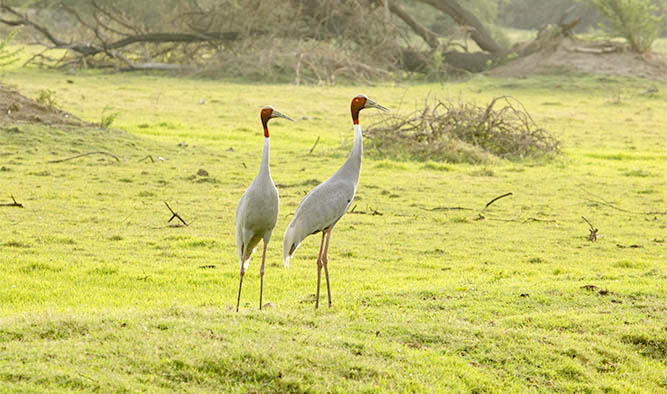 If you love birds, luxury and everything that is royal, plan an expedition to The Bagh, Bharatpur. 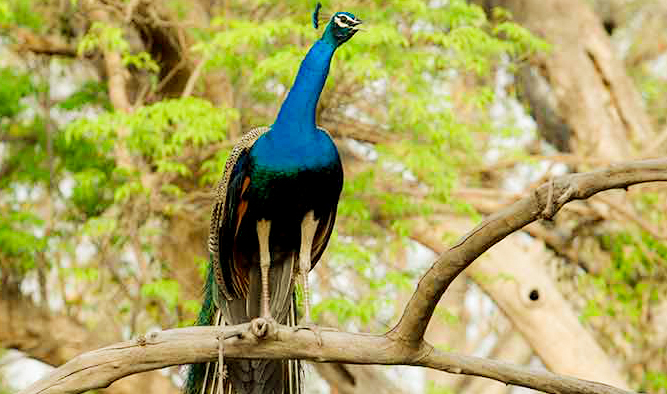 After a warm welcome from our experienced hospitable staff, you may be greeted by peacocks and chirping birds. Host an official off sighting experience with us, discover nature or bond over a game of volley ball with your family.